Talks by Cheri Rae"Welcome to DyslexiaLand"
Cheri Rae inspires audiences with her talks, including “Welcome to DyslexiaLand,” which offers a memorable tour of a land with a language, people, culture, history, and politics all its own. Yes, it’s an imaginary place, but a very real one for the 1 in 5 kids (and adults!) with dyslexia. The author of DyslexiaLand: A Field Guide for Parents of Children with Dyslexia successfully led her dyslexic son from K through 12, founded the Santa Barbara Parent Resource Center, and helped hundreds of children with dyslexia and their parents. “The only mystery about dyslexia is why the Education Establishment treats it like one!” declares Cheri, whose advocacy work earned her a commendation from the California State Assembly. Cheri takes audience members on a trip they’ll long remember to DyslexiaLand (Population 1 in 5). Particularly memorable are Cheri’s stories, happy and sad, about how otherwise bright children with dyslexia cope with a school system not built or operated for their success. Audiences are always surprised and often shocked when Cheri reveals why most public schools can’t—or won’t—teach dyslexic children in the way they learn. Anyone who has heard an academic presentation that dwells on dyslexia as a disability, will be delighted by Cheri’s approach, which focuses on the many gifts, talents, and strengths of people with dyslexia. Three cheers for neuro-diversity! 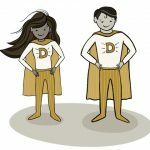 Key deliverables are Cheri’s lively look at what she calls “Mythlexia”—Ten Myths (and Truths) About Dyslexia, and what those who don’t have dyslexia can learn from those who do. Meeting and event planers love working with Cheri because she’s dependable, easy-to-work with, and always engages her audiences with the right mix of inspiration, information, humor, and real-world insight. For booking information and Cheri Rae’s availability, please contact Sophia Lyman or call 805-845-7102. Be sure to ask for special discounts on Cheri’s new book.